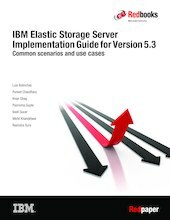 This IBM® Redpaper™ publication introduces and describes the IBM Elastic Storage™ Server as a scalable, high-performance data and file management solution. The solution is built on proven IBM Spectrum™ Scale technology, formerly IBM General Parallel File System (GPFS™). This paper provides guidelines for several usage and integration scenarios. Typical scenarios include Cluster Export Services (CES) integration, disaster recovery, and multicluster integration. This paper addresses the needs of technical professionals (consultants, technical support staff, IT Architects, and IT Specialists) who must deliver cost-effective cloud services and big data solutions.